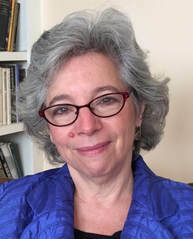 Elizabeth Warner, Psy.D., has had a psychotherapy practice in Brookline for the last 20 years. Her specialization is in the area of child development, and the treatment of children and families. Special interests include adoption and adoptive families, the special nature of that attachment and implications for development and the development of new treatments for complex trauma in young children. She spent 15 years working with severely disordered children including traumatized children and their parents, using innovative methodologies and the use of videotape study at the Language & Cognitive Development Center. In addition, she has worked in psychiatric inpatient and outpatient settings at Boston University Medical Center, schools and mental health clinics, providing therapy, teaching and consultation. Financial: Elizabeth Warner is the project director for SMART for children and adolescents at the Trauma Center in Boston. Nonfinancial: Elizabeth Warner has no relevant nonfinancial relationship to disclose.